I have this strange subject that, regardless what your field of study is, you are required to take it. It's called Religion, meaning and world-view. It bores the pants off if you're not into that kind of thing. Some theologist saying this and then another theologist not agreeing because of God knows what kind of reason. 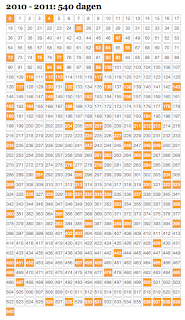 The text we're using is larded with words like creed, revelation and eschatological. I was reading through this bit of text on a certain Mr Jürgen Moltmann. I got through a paragraph but it didn't really make any sense. It says (roughly translated): "In the third volume the insights from previous works are completed by reflections on ecclesiology and pneumatology." I could't quite work out why a theologian would be remotely interested in combining religious studies with pulmonary diseases. Could it have been because of the crucifiction Jesus had a hard time breathing with all that water in his lungs? It didn't make sense. None at all. The penny dropped quite late after a bit of confusion. According to the message I got on youtube, Belgium is no longer a country. 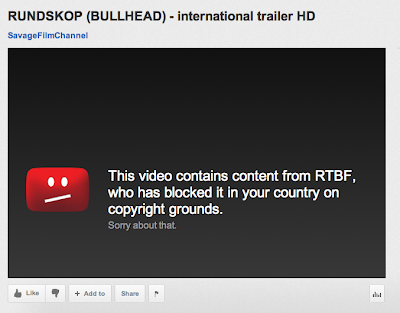 The RTBF (the French speaking community's broadcasting corporation) has blocked me from viewing a trailer for Rundskop because I live in the Flemish speaking part of Belgium. 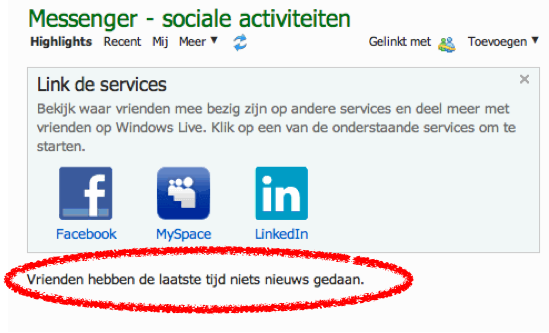 Which is according to the copyright restriction ... in another country. Ironically enough the film was financed with money from the Flemish, Brussels, Walloon and Dutch governments. And it is an international trailer. So does that mean the international film trailer will only be available in the Walloon part of the universe? Reasons Greetings from a profoundly confused Belgian. "Friends haven't been doing anything new recently." Professor: "Does anyone know who this is?" I was the only to raise a hand. Professor aghast and pausing slightly: "That's correct. Very good... To be honest I didn't think anyone would know." Me grinning like an idiot and feeling slightly embarassed at all the heads turning towards me. Professor: "Tell me, how did you know it was him?" Me, trying not to come over all sardonic or some other pedantic impression I was giving, said gingerly: "Erm, I recognized his -eh- face." The room makeover has been completed. 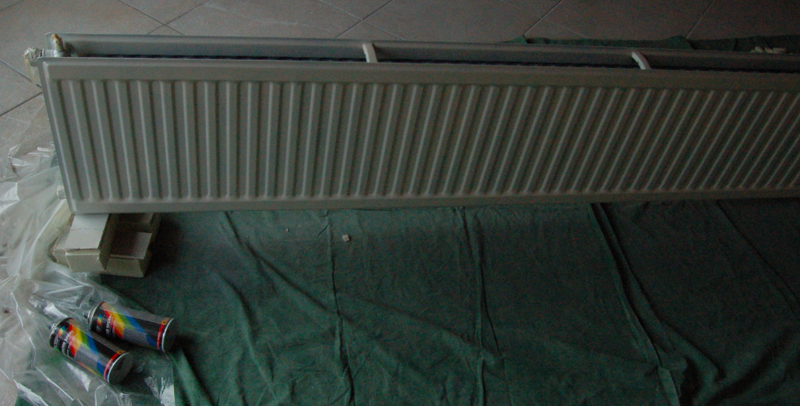 The radiator and borders are in place, Dr Livingstone has fitted all the electric sockets and switches. Even the curtain rod has been installed. Unfortunately it had to be screwed to the wall some 7 cms higher. I say unfortionatly because the curtain was also 7 cms shorter and they were made to measure. 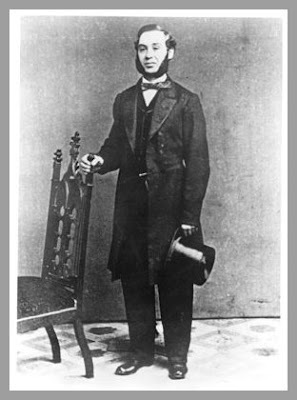 But then Dr Livingstone had the exceedingly brilliant idea of fixing the curtains to the rods with a novel system. Watch out IKEA, it will be patented! He fitted small chains in between the gliders inside the rod and the hooks on the curtains. 4 links, that's all it took. So here we are now, the definite 'before' and 'after' pictures. It seems a shame to have to fill it with furniture now. We won't be able to sleep in it until that nasty paint smell from the radiator has completely vanished. You will be missed, blunt poet. I raise my glass bottle in honour of your life and works. Well, it's white. From wall to wall. The paint is on, all the ugly colours have been banished by the brush! Hurrah! The wooden border is very elegant and looks better than the tiled ones. It'll look very smart once all the tape has been removed, the floor has had a good scrub and the wooden border on the ceiling is in place. Pfff. Just a little push and it's all over! Yes, this is Day 5. And behold! The ugly orange smear marks have disappeared behind the wall paper! Three cheers for covering up ugly things! The room has been papered all round and now just needs a lick of paint (and if need be there must be 2 layers of paint to hide the seams and blotches shining through) and the slotting into place of the radiator. I'm concerned there's not enough space now to put it back and it will be right up close to the new wall. But hey, it's nearly done! 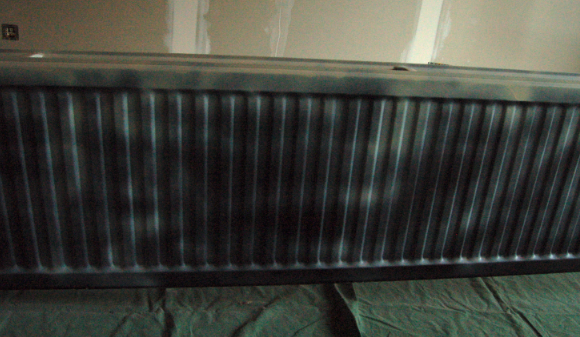 the spray painting of the radiator. Two cans was all I bought due to tight budgetting. 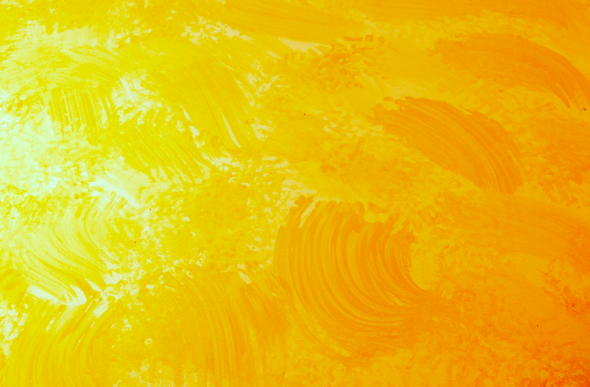 The main trick to doing this the right way is spraying on little layers. Not too heavy ones, they might form those 'tears' and we want a slick, clean and smart looking item. Dr Livingstone and I had to move it away from the wall. First up I sanded down the radiator with a medium sanding paper. Then I washed it down to get rid of all the paint and chalk. And then le moment sûprème. 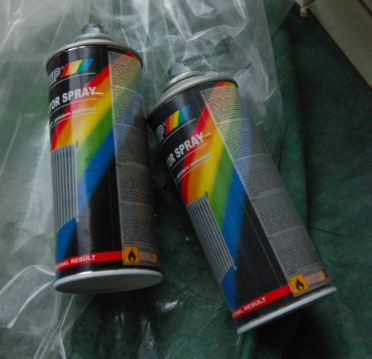 It has been quite some years since I wielded a spray can for decorative purposes. After the first can was empty I went and had a drink, a cuddle and a breath of fresh air. I didn't do the back of the thing, it is pretty useless since it is facing the wall and no-one will ever cast a sideways glance at it. So from a very dull, dark brown, I now have a pristine white one. It says on the paint can it is white-white. But it looks a bit of a creme colour. I couldn't quite put my finger on it all week, but while watching a Best of Dad's Army DVD it finally dawned on me. 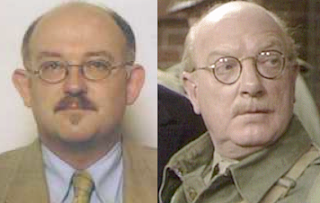 One of my professors (and I'm not naming names) has an uncanny resemblance to Captain Mainwaring of Dad's Army fame. They might be related. I think we should be told. Mouser was in all states and darted out of the house the minute the front door opened. This is Day 1 of Room Makeover part 2. Work has gone very well today. Here are some before and after pictures. The wooden and stone plinths have been removed, the radiator has been removed, new places for electric sockets have been made. The remnants of shoddy building work from previous owners has been laid bare. The walls with isolation have been put into place. Quite enough for one day! What a difference already. 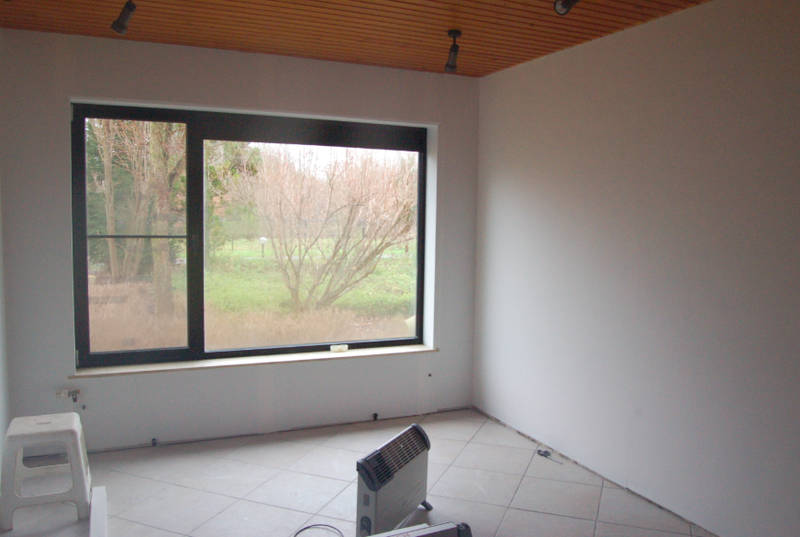 The room is a little smaller due to the thickness of isolation, but when the white coats of paint will be on, it will look very different. 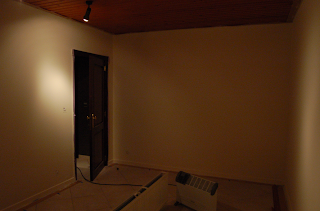 But, hopefully next week, it will be goodbye to that hideous decoration of the walls. I don't know what kind of house-hobby-idea rock that pattern crawled underneath from, but it will be cast into oblivion very soon! It's some kind of horrific 90's sponge technique. Yes, it is that horrible shade of orange, there is nothing wrong with your computer monitor. Mouser steered well clear of all the noise by hiding under couches today. 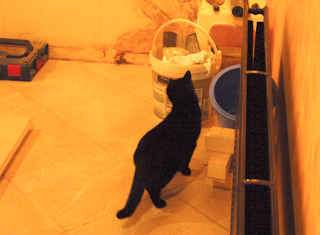 But at the end of the day Kitteh surveyed the building site as a genuine feline health and safety inspector (minus hard had, hi-vis jacket and steel-nosed boots). That curious cat did manage to walk out of the room with dusty paws. Have to be on the look out when the painting starts. One little accident and we could have trouble with Pépé Le Pew. Mouser's bed-in protest seems to have worked. We have something resembling a government. Radio presenter Koen Fillet finally got to shave his beard after 320+ days. Dr Livingstone said he'll not shave until this new government throws in the towel. Or, I guess the price of razor blades drops dramatically. Out of the door, line on the left, one cross each. Mouser's bed-in protest seems to have speeded up the negotiations, the formateur announced they had reached an agreement on the budget up till 2014. Eerily enough, the press photo's show a vaguely familiar scene. 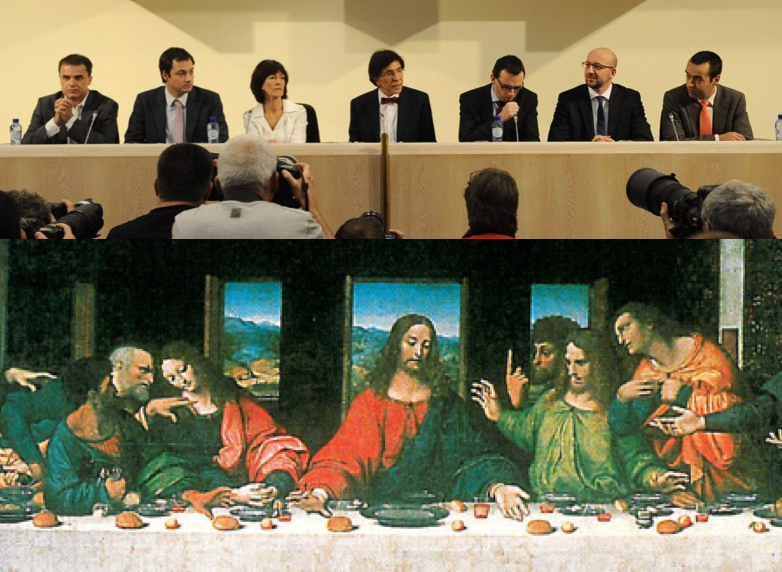 I seem to remember someone sitting in the middle being crucified a short while later. Bedroom eyes. My bed has eyes. Pretty scary ones too. Oh wait. It's not monsters. It's just Mouser having a little bed-in protest for a quick government formation. 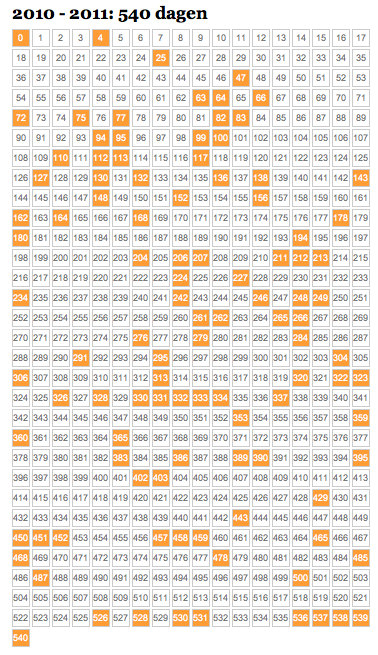 We are currently 531 days without one after june 2010's elections. I think we have broken all intergalactic records by now. Yes! The room is completely white now. But just not quite white enough. I think I should add another layer just to have it absolutely right. Light was failing before I could see it dried out. I do not want a hint of pink shimmering through! No time to waste yesterday (I sound like an 80's Greenpeace slogan). I hurried back home to finish up filling up some holes in the wall. We're redecorating our former bedroom. This will now become an office and those hideous pinkish colours just have to go. Unfortionatly Dr Livingstone put pollyfilla on some silicone leftovers and I can't fix it. There are bulges as huge as Mount Everest and I can't overlook them now I know they're there. Apparently there is no Hebrew word for 'upper overlay'. You learn something new everyday. Today is D-Day. The silicone is going around the edges of the ceiling, tiles and door and then the first lick of paint will be put on. 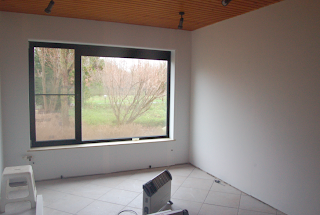 It is going to be an all-white office, with a simple cupboard with sliding glass doors. 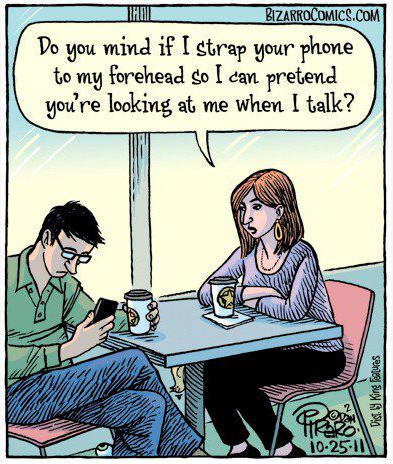 The same kind we've got in the livingroom. Hope it'll be finished next week. 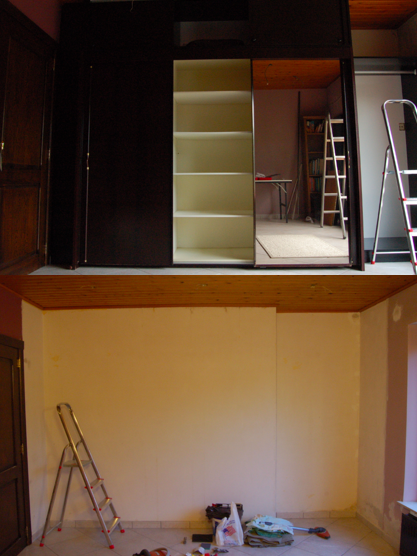 For your entertainment I've put up some 'before' and 'after' pictures of the wall where the brownish wardrobe was standing. And also a picture of the very dubious shades of pink that are currently on the walls and screaming out loud to be covered with a nice and safe colour of pristine white. I managed to contain myself and put most of the books back I had picked up. I walked away with just two! One of the books is a guide to the South Kensington Museum. It is a catalog printed in 1897 and sold in the museum in that same and the following year. 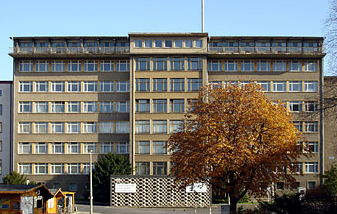 It is in pristine condition and lardered with funny ads, nice crisp ground floor plans of the Science and Art museums. A true gem at only 3€. 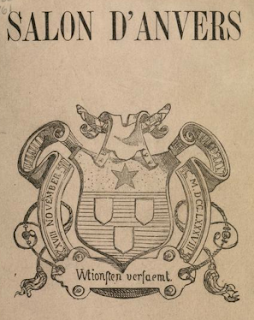 And then another surprise as I unearthed a catalogue of the Salon d'Anvers of 1855. I worked on the Salon on 1843, I bought this as a little memento. It feels like I stole it from the archive and now treasure it like some art thief who steals for pleasure. A stamp on the inside does tell me it once belonged to the collection of the Antwerp city library. I should wrap it in some protective paper, the back is half torn and it is an annoted page. This rare thing set me back just 10€, so I stayed below the 20€ threshold I had agreed with myself. And I managed to save on a train fare this morning, as the conductor failed to show up. So I have permitted myself to spend an extra 3,90 + 7€, if I have some more time to spend idle amongst volumes of knowlegde. I was trying to remember the title of the Agatha Christie novel I am currently reading. It has the word 'elephants' in the title. 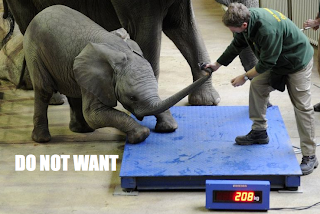 So my memory come up with 'Elephants never forget'. A good title by any standards, but not a novel by written by Agatha. 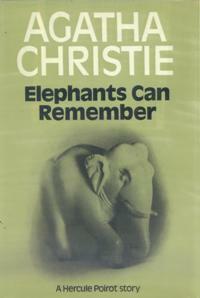 The book I am really reading is called 'Elephants can remember'. I could not help but linger in front of the disgarded book section in the faculty library. I picked up yet another book for some public transport reading. This time I found a neatly bounded hard cover volume (all black, no letters on the cover). It is called The Battle for Modernity and neatly groups the social movements and denominations in Europe since 1830. This is volume 10 in the Kadoc-studies series. It should give me some extra background info or some little sparks for new ideas for my big paper I'm writing on and should be due around June. And I went on a double shopping shoe spree when I headed over to the store to get some copy paper. I bought two (!) pair of boots (the kind Dr Livingstone likes) and a new wallet. That'll be enough for the rest of the decennium me thinkst (shoe-wise). Looking at the title of this little blog post; would that be an idea for a bookshop come shoe shop? 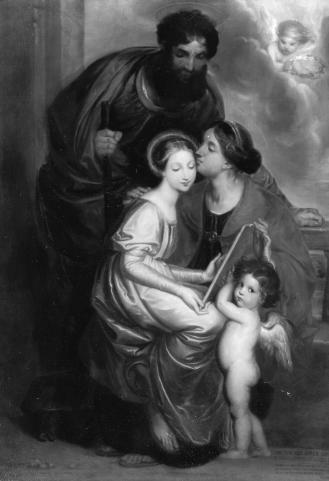 A walhalla for the educated woman? You already have these coffee-bookstore things. Why not shoes and books? I think I have just coined the brand name right here and now. Books & Boots. Oh wait. My google-fu just came up with the Richmond Walking & Book Festival 2011. I'm all keyed up for the book sale on the 23rd and 24th. I picked up a leafled as I was leaving my faculty library on Thursday evening. The Central University Library is selling off their double or irrelevant volumes. Maybe I can unearth a little gem. Who knows. I must however agree with myself on the maximum amount I am willing shall allow myself to spend. There is no place for new books. And actually no money come to think of it. I think the only ones I am allowed to buy are the ones we can chuck into the fire to keep warm this coming winter. Those stupid petrol prices keep going up. Where's a good recession when you need really need one? I had a lovely day today: all my time I had today was spent immersed in books, history, architecture and paper writing. I feel elated and don't really know why. The train ride was spent by further reading the Loving Frank novel, the connecting bus ride was the same. The an architectural theory lecture on a fascinating architect I seem to have a faint memory of having seen some of his work: Juliaan Lampens. His puristic concrete architecture has a very Japanese feel to it when seeing '70's grainy pictures of the house he built in the late sixties/early seventies. Right. I missed professor emeritus Guy Delmarcel's book sale on the 4th floor of the faculty building during lunch hours. I did manage to buy a book at the library sale (a steal at only 1€!) on Religious experience and aesthetic experience from professor J. J. Aerts' personal library (known for his psychological-anthropological approach toward literature and authors). 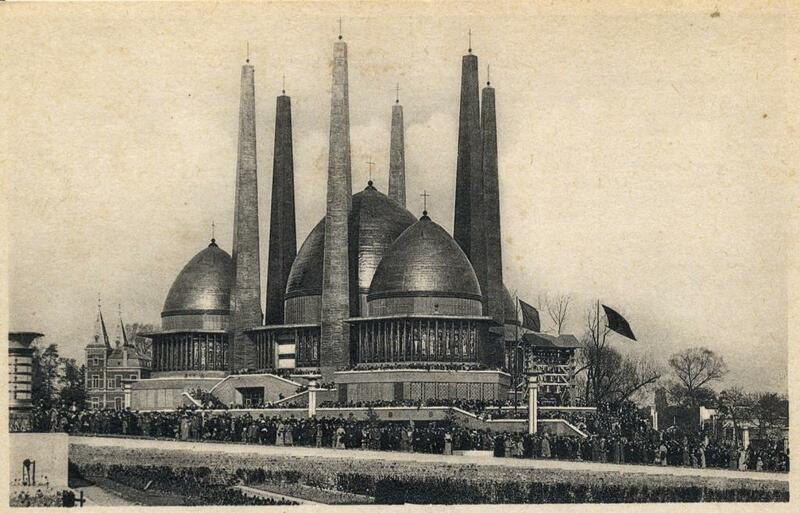 Then I spent a couple of agreeable hours finishing up a paper on the Pavilion of Catholic Life at the 1935 World Fair. Fascinating building designed by little know Belgian architect Henri Lacoste. Will blog on that building in a seperate post. Then I had to attend another lecture at half eight on Gothic churces in China. Again fascinating stuff. Anyway, I'm growing sleepy and just waiting for Dr Livingstone to come home. He's had a decorator in and paint the walls of the workshop all nice and white. I'm really loving Loving Frank by Nancy Horan. I was sucked into the book and nearly missed my train stop on the way back home this afternoon. I'm half way through till now. A man came to measure up the windows and front door. He's making us a quote for new ones, which will save us quite some money in a couple of years. We want to have the whole house isolated so we can cut the costs on heating and so on. The lecture finished ten minutes early on Monday so I managed to pop into the book shop on my way to the bus. I was looking for a Boudewijn Büch book on Goethe, but they didn't have any. On my way out I skimmed a row of fiction novels and found a very cheap copy of Loving Frank by Nancy Horan. It's a novel about the love affair between Mamah Borthwick Cheney and architect Frank Lloyd Wright. It was recommended to me as a little light reading by a professor of architectural theory. It'll last me a couple of bus rides I guess. I'm have a hard time concentrating on reading school stuff because of all the pointless banter all around courtesy of all my fellow passengers. 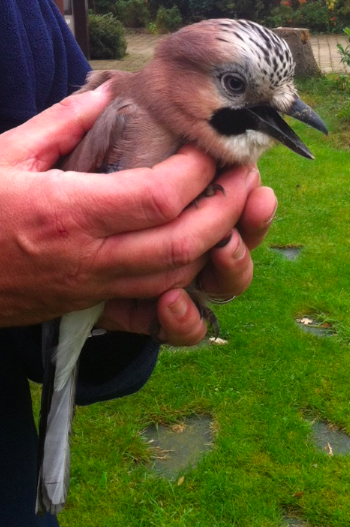 An unlucky Jay flew right into our double glazing and was quite dazzled by the experience. I picked him up, to steady him, Dr Livingstone said I was no good and took him with his bare hands to keep the poor bird warm and recover from the huge smack and woozy feeling. It sat quite stil and did not fight or struggle to free itsself rom his grip. He then sat down in the garden and stroked it. Its eyes were alert, its pupils reacting to movements and it seemed all ok. No serious concussion, maybe the bird experienced a slight headache, but it seemed fine. It flew out of Dr Livingstone's hand and perched on the chair next to him and then flew, not in a complete straight line I might add, into a nearby tree. It struggled to perch on a branch but then flew away reassuringly. My grandmother is in hospital after a fall. She's having surgery on Monday to mend her hip. She was quite comfortable in hospitable, her leg in traction to keep the break nice and aligned for the surgeon to fix it. I visited her Saturday, the train on the way there was packed with people. All of them speaking different languages. The guy with the dog was talking Japanese on the phone, in front of me a Tunisian living in Brussels was speaking English with two Turkish girls studying marketing and engineering, behind me some Germans were either arguing or having a normal conversation (sounds alike in tone of voice to me). Across from me two Russians students, behind them Polish folk, and behind them very loud Spanish people. They were all talking, everything went crescendo. It was very hard to concentrate on the reading material I had brought with me. If they were talking languages I can't understand, then I would have managed but I just gave up after 1,5 pages and nodded off. I slept the whole ride just up to the terminus. The dog belonging to the Japanese guy was sprawled on two seats and seemed to be all relaxed and comfortable. Right up until the train conductor janked him off. The First World War left nine million soldiers dead and 21 million wounded, with Germany, Russia, Austria-Hungary, France, and Great Britain each losing nearly a million or more lives. In addition, at least five million civilians died from disease, starvation, or exposure. 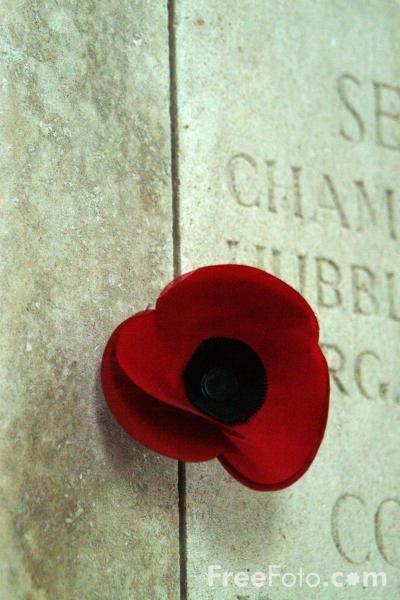 World War I was known as the "war to end all wars" because of the great slaughter and destruction it caused. 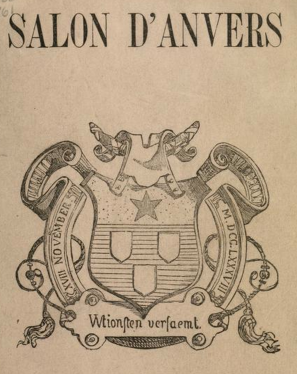 At the university today I had to give a presentation on the Antwerp Salon of 1843. It's an exhibition much like the more famous counterparts held in Paris. It went well, had positive feedback and a few laughs, which is always good. It was great fun researching the subject. I love the nineteenth century. It's so alike today, but yet so different. And the newspapers are always a bundle of laughs. Art critics are very very harsh when it comes to reviewing some art works. 'He could have saved himself the trouble. What a waste of paint'-kinda stuff. Some quacks have very big advertisements claiming to -among other things- cure most known diseases. Meh. Need rest now. No more blogging today. I had the most boring lecture this morning. I've never known anyone able to give such an uninspiring lecture on Dante and his Divine Comedy. So I had some amusement staring up at the ceiling of the auditorium. It's located in the former Jesuit College. 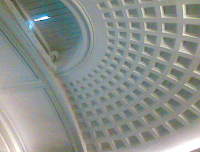 The neo-classicist auditorium was built in 1824 after a design by Hensmans. It's a kind of mock Pantheon. Less ambitious in being semi-circular. Here's a blurry picture I took with my phone out of boredom. Hey! I almost sound like a real student! I firmly believe we have the world's most nosiest neighbour. As soon as even a leaf falls on the driveway, she's out lurking behind some shrubbery or peering out from behind the drapes. She doesn't know we can see her. Especially when it's dark outside and her livingroom is lit up like a Christmas tree. We can see her staring silhouet. Dr Livingstone is now even playing with this. When we come home from work or uni, we need to stop in front of the gate to open it. Now he stops just a few meters in front of their house and waits until he sees the curtain shift. Even when we got up a couple of Sundays ago to watch the F1 (the circuits at the other side of the world have inconvenient tv hours) we got to hear: "You guys were up nice and early today. I saw the woodstove burn." It's even infected her slow son. When we're out stargazing, we can see him fumbling about in their garden ajoining the chicken shack. He thinks we can't see him, but he carries a small torch with him. It's like living next to the Stasi headquarters. Rude awakening this morning around 6 am. Some truck with stuff in it for concrete flooring started up just a couple of meters from our doorstep. At that time I was just in the middle of a dream. I was riding the bus to uni and a lady next to me got up to give room to another lady getting on the bus with four basset hounds. They all jumped up on the seat next to me. 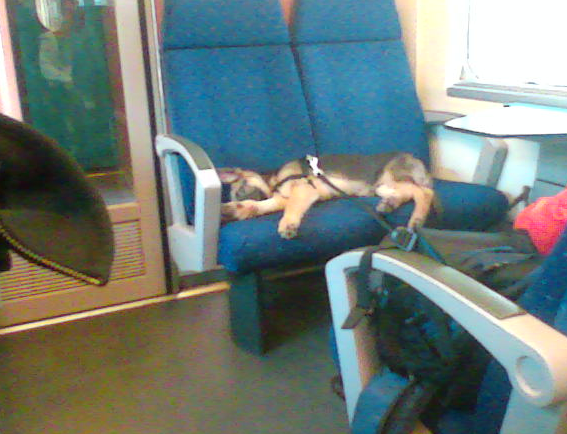 1) Hounds slobber all over me and I'd have to change seats. 2) One of them bites me. 3) One of them comes and sits on my lap and I can't seem to shift it because it is staring at me with that über-sad look. 4) The bus has a head on collision with a concrete truck jumping a red light. I've been out of the blogging loop for some time. I've hardly had time to gasp for breath once in a while. I'm back at university, I've had a spell of heart trouble, we've been doing all sorts around the house, we've been busy at the workshop etc. etc. etc. Best to start blogging again once in a while. And my first post in a long time will be about ... BOOKS. I had a spare half hour before my next meeting for a talk I'm giving with two fellow students, so I strayed into a bookshop. 1) Barry Pitt, Zeebrugge: Eleven VC's before breakfast. 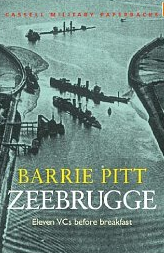 A book on the Raid on Zeebrugge in 1918. 3) The bedside book of chemistry by Joel Levy. A book on -er- chemistry. I know, I'm a freak. 4) Michel Peeters, Beelden voor de massa: kunst als wapen in het Derde Rijk. A book on art and how it was used as a propaganda tool by Nazi Germany. I did manage to update my LibraryThing now and then. Which I also other books too that are compulsory reading this semester. The Belgian Wheelchair Rugby team has secured a place at the 2012 Paralympics today. England defeated Poland this morning and so Belgium is through. So far at the European Championchips in Nottwill, Switzerland Belgium has pummeled all teams they played against (Finland, Netherlands, Austria and Denmark). The toughest competitor is yet to come today: Sweden. Let's hope their Ikea chairs are missing some bits or wheels come off. So now on to the medals! 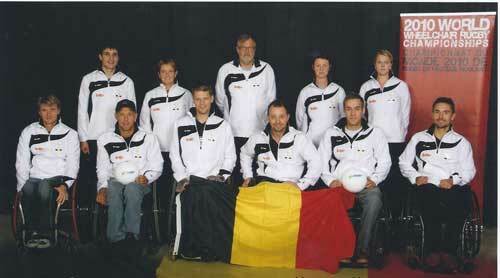 Currently the Belgian wheelchair rugby team is 7th in the World Ranking. A solemn apology for the lack of posting, but my life has been turned upside down lately. Well, the doctor was in the hospital last week. 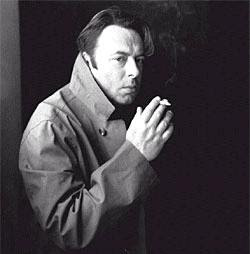 And kind of discharged himself at the same time, on account of driving himself completely bonkers. Dr Livingstone got home all right last time; the week after my last blog post. He was extremely exhausted, but not entirely different from previous month-long-stints-away-from-home-working-20-hours-a-day-for-4-months-on-end. And when he got back we worked some more; a full week in our own workshop over here. 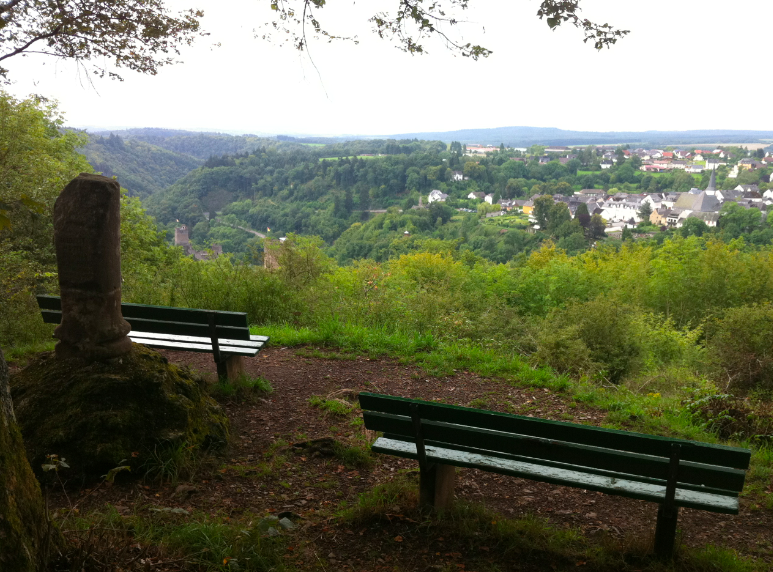 It was all relaxation, Hefeweiβ Beer & jummy Schnitzels as far as the eye could see (=Sunday). They did present me with my own private cloud of insects. 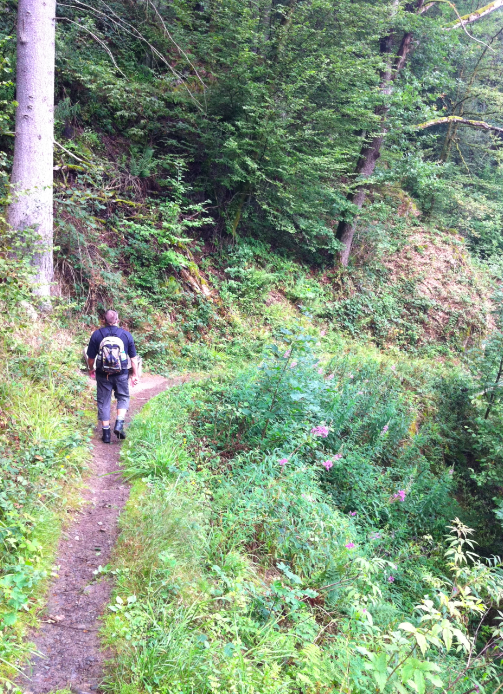 A handful of irritating flies hovered above my head for about 300 meters until we reached the cover of the forest. Much to the amusement of Dr Livingstone, much to my chagrin. So after a lovely 8 km walk on Saturday morning, some lovely hot Goulash soup and excellent coffee and a rummage around the local discount supermarkets we had an early dinner (Schnitzels und Hefe) and an early night. Utter and complete relaxation. Dr Livingstone had a turn for the worse on Sunday morning. He started coughing up blood. I drove back home and we went to the emergency room at the hospital. Last time we were there they sent him home with a pain killer without even examening him. Funny how you mention the word 'BLOOD' and they immediately take you seriously. Within 1 hour he had had some X-rays taken, a heart monitor diagram, some antibiotics, anti-bloodcoagulants and the right diagnosis. And Dr Livingstone thought they would just send him home again with some pills. They kept him in for FIVE whole days. It was necessary because he had had a lung stroke and still has severe pneumonia. 'Normal' people would be kept in for at least two weeks. So he's home all right, and at work at the same time. He fooled the doctor into believing he won't be lifting any stuff and be relaxing for at least two weeks. Fat chance. Luckily, or should I say unluckily, one of his colleagues crashed his car about 100 meters from our shop and Dr Livingstone kindly lent his car to him. So he needs to be driven around. That was the deal. No driving cars for two weeks. Today we just discovered Dr Livingstone had been taking an OD of anti-coagulants (that was the reason his sight was all blurry and he had a hard time remembering things). As I am typing now, he feels calm now, a bit better then when he heard the news he had had an OD. He is sitting in his super deluxe armchair which we bough a couple of days ago to make him more comfy. Will post an update on how he is feeling and how things are here once we have shifted this work load that has been piling up and weighing down and hovering above us like Damocles' Sword. I'm off for an entire week to summer film boot camp. I should probably leave out the boot notion, but it really is a survival of the fittest to sit through every lecture and every movie seven days in a row. The first lecture starts at nine sharp and the last film usually finished around midnight. It is not uncommon to hear someone snore their head off during a movie. After day three your feet start to swell up from all the sitting down. Over the years I've managed to devise some sitting techniques to endure all the movie magic. This year it's in Antwerp. This twice yearly event had been hosted in Bruges in years gone by. So I will have to devise a new sitting strategy because I'm not familiar with the seating arrangements in the theatre. This will be my 8th Summer Film School I will be attending. I feel like a veteran. 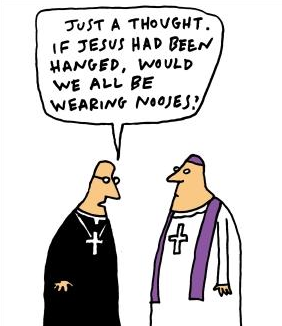 And I do feel a bit guilty too. 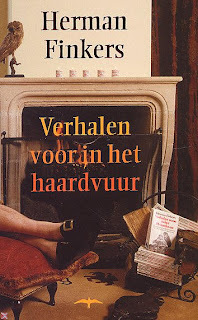 While studying in Brussels (waaaay back in the nineties) I used to attend the Film Museum every night, read the glossy magazines, bought second hand books on cinema, worked on film sets. I ate, slept and breathed cinema. Over the years, moving to an area where most movie theatres are over 15 kilometers away (and expensive), my movie going experience has dropped to an alarming rate. So far this year (or last year) I haven't even set foot inside a cinema. So this week is very important to me, to keep connected to my very first love for images. I will have to face up to the music and decide how to spare my strenght. 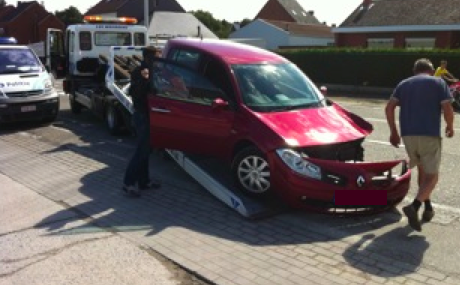 I will be driving to Antwerp every day, so I will need to be alert and wide awake before venturing onto the roads. This means I will have to skip a movie to get safely home. When in Bruges I could just skip a movie I'd already seen and have a nap in my hotel room. This will be an entirely different challenge. 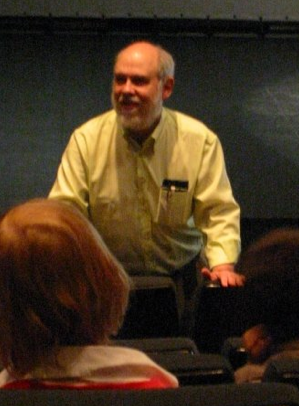 David Bordwell will be lecturing on Storytelling strategies in 1940s Hollywood. His morning lectures have been very entertaining and enlightening and no doubt his seven Dark Passages-lectures will be of the same high standard I have heard over the years. He blogged about the Summer camp for cinephiles in 2007 and in 2009. This year the umbrella theme is Art & Painting. 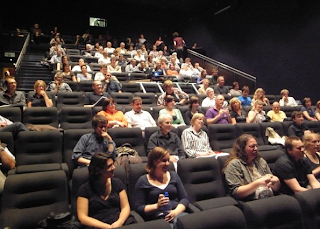 Lisa Colpaert, Tom Paulus, Wouter Hessels (freshly appointed director of Cinematec) and Steven Jacobs will be lecturing on a wide variety of themes i.a. 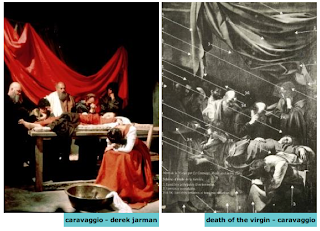 tableau vivants, art documentaries, interiours and landscapes. After years of whining I finally get what I asked for: A Greenaway movie! Three cheers for the Vlaamse Dienst voor Filmcultuur! 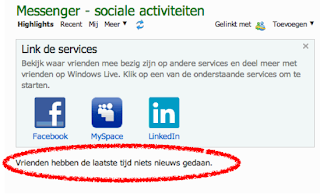 I don't think I will have time to do any blogging during the coming week. Or even a couple of days after that. Dr Livingstone will be home!